We are proud to provide implants for people who are missing teeth and would prefer another option than dentures. Call 919-985-7300 to schedule an appointment today or learn about dental implant cost. Special: $3995*Not to be combined with other discounts or Smile Savings Plan. A consultation and x-rays are required. One-stop-shop. We place implants as well as restore them! Dr. Hop specializes in dental implants. 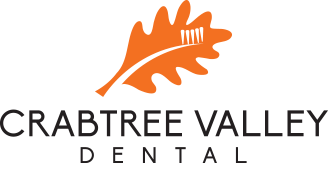 Crabtree Valley Dental is one of the few practices in town that offer you placement and restoration start to finish. Implants are replacement tooth roots. They provide a strong foundation for fixed (permanent) or removable replacement teeth that are made to match your natural teeth. Improved speech. With poor-fitting dentures, the teeth can slip within the mouth causing you to mumble or slur your words. New implants allow you to speak without the worry that teeth might slip. Easier eating. Sliding dentures can make chewing difficult. Implants function like your own teeth, allowing you to eat your favorite foods with confidence and without pain. Improved self-esteem. You can also get back your smile and help you feel better about yourself! Improved oral health. No required other teeth reduction, as a tooth-supported bridge does. Because nearby teeth are not altered to support the implant, more of your own teeth are left intact, improving long-term oral health. Individual implants also allow easier access between teeth, improving oral hygiene. Success rates of implants vary, depending on where in the jaw they are placed but, in general, dental implants have a success rate of up to 98%. With proper care, implants can last a lifetime. In most cases, anyone healthy enough to undergo a routine dental extraction or dental implant surgery can be considered for an implant. Patients should have healthy gums and enough bone to hold the implant. They also must be committed to good oral hygiene and regular dental visits. Heavy smokers, people suffering from uncontrolled chronic disorders — such as diabetes or heart disease — or patients who have had radiation therapy to the head/neck area need to be evaluated on an individual basis. If you are considering implants, talk to your dentist to see if they are right for you. In general, implants are not covered by dental insurance at this time. Coverage under your medical plan may be possible, depending on the insurance plan and/or cause of tooth loss. Detailed questions about your individual needs and how they relate to insurance should be discussed with your dentist and insurance provider. The first step in the dental implant process is the development of an individualized treatment plan. 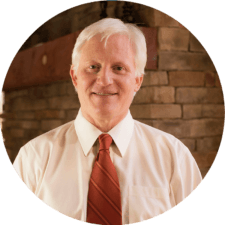 The plan addresses your specific needs and is prepared by a team of professionals who are specially trained and experienced in dental implant surgery and restorative dentistry. This team approach provides coordinated care based on the implant option that is best for you.